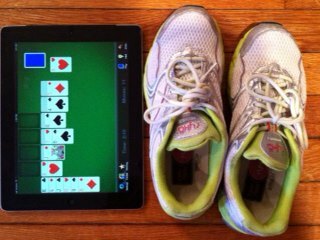 The picture of the running shoes and online game of solitaire are two things that help me maintain a steady heartbeat. The running shoes for my 3x–4x weekly jog to keep exercise as a priority in my life and help reduce stress and the online game — a mindless, harmless pastime – that takes me away from the stress of the day to maintain calm. On Valentine’s Day, especially, we need to focus on matters of our own heart — literally. On Valentine’s Day and always I wish you health, happiness and peace. Always striving to color outside of the lines when defining my new normal. On a Christmas Eve airplane flight, I was very concerned as we left Hartsfield-Jackson Atlanta International Airport on a wintry day with an oncoming storm. During the record breaking winter, storms were blanketing much of the United States. A cool, grey and rainy day, with declining temperatures, I was more than anxious as we prepared for takeoff. We experienced some turbulence as the flight began its ascent and I looked out of my window onto the grey ugliness. As we began to climb, it didn’t take long for the flight to become smooth and for us to break through the clouds. As we broke through the clouds, I saw a beautiful site of a sea of celestial clouds accented by big beaming rays of sun. In just a few minutes, we had moved away from the winter storm into a slice of heaven. Sometimes we need to rely on our angels to pull us up and out of “hell” and into heaven. This day it was the pilots and flight attendants. For me, it’s my close family and dearest friends. I believe that the beauty that transcends all of the gloom is God’s reward for having the courage to climb. KEEP CLIMBING!